Here’s a picture to keep you motivated for next hunting season. A Moultrie customer captured this monster he nicknamed “Crab Claw’s Daddy” on his Moultrie scouting camera last hunting season. 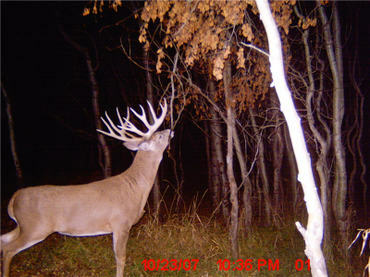 Start mounting your game cameras early so you can start tracking a trophy buck like this one.